In a world full of statistical distractions, books and knowledge pave the way for a shining life. The world might be raining down technology upon you, but don’t forget, you’re always covered with the cosiness and dependability of a good book. 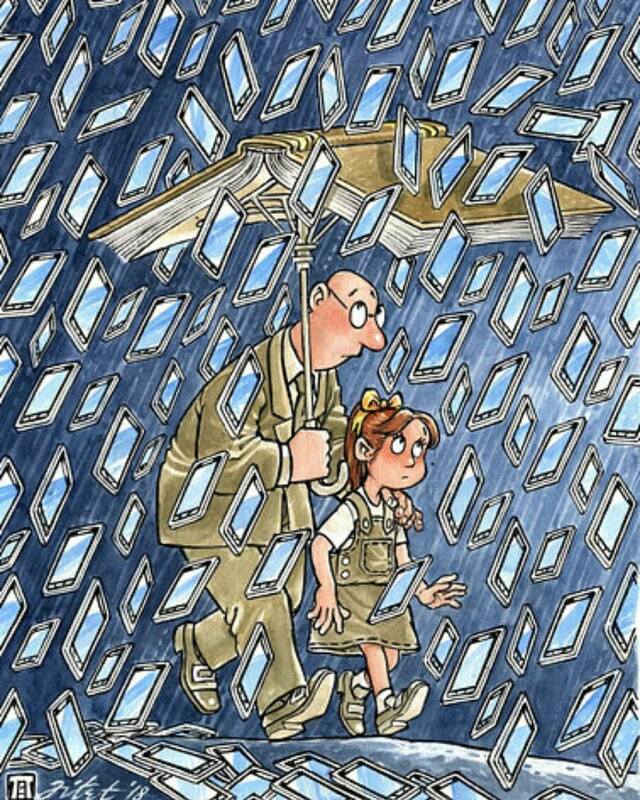 Personal devices would always bring disaster and It’ll slow you down from moving forward. What’s the wisest move? cover it up with a books! That is if you want to move farther. Just like the guidance of a wise father to his young daughter. With the umbrella of wisdom and the roof of knowledge he became the saviour to the otherwise lost generation.